The Content Marketing Academy has announced a series of workshops to be held in Dundee, Edinburgh and Fife this winter. The Fife firm, which specialises in content marketing and saw hundreds of business people turn out in Edinburgh for a two-day programme of events as part of its second annual conference in September, will host events at the Apex Hotel in Dundee, Edinburgh Training and Conference Venue and Carnegie Conference Centre on November 20, December 10 and February 5 respectively. Each of the three events, which will help business leaders understand how they can use content marketing to grow their operations, will be delivered by founder-director Chris Marr. 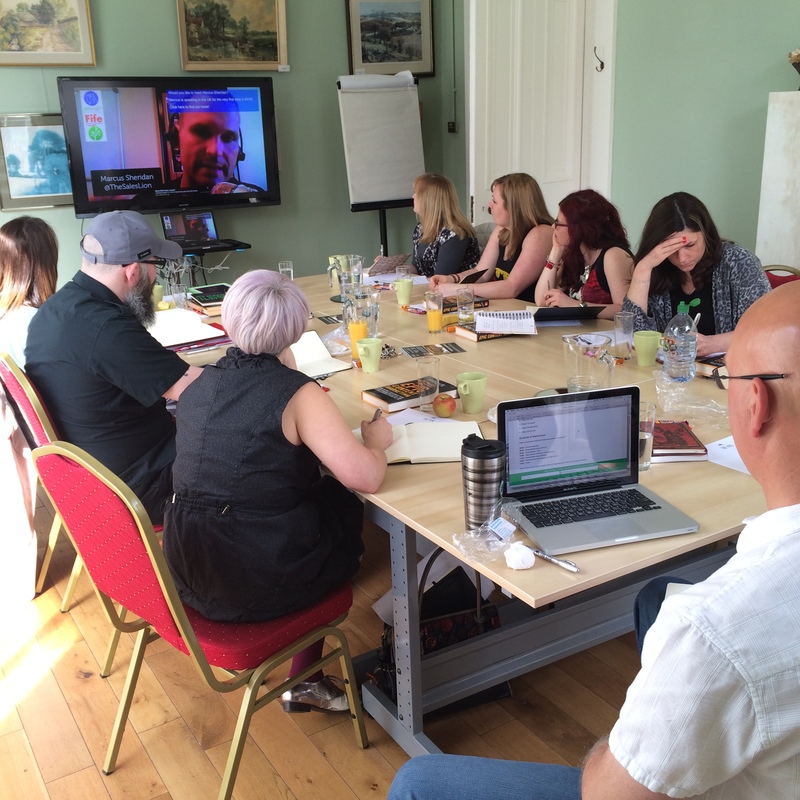 Marketing expert Chris, who hails from Fife, is a regular speaker at Business Gateway events and works with a number of Scottish firms, such as Kirkcaldy-based Fife Group and Edinburgh recruiter Edgar Stewart, to increase their online presence through effective content marketing. He explained: “What I love the most about delivering and facilitating content marketing workshops is watching people get excited and animated about their own businesses. “In such a short space of time, people are able to generate fantastic ideas about how they can change the way they communicate with their audience. Edgar Stewart founder-director Bruce Hydes said: “I had hovered around content marketing for the last few years, doing minimal posting on LinkedIn and various other social media accounts. In truth, I probably had my head in the sand topic – either I didn’t know enough or was too busy to be bothered. “But I was introduced to Chris and the Content Marketing Academy by my co-director. What really got me was how quickly he grasped how this concept could support our recruitment business. “The beauty of content marketing is that it’s the start of a long journey and even the small steps can bring results. “Having now begun to understand it and how content marketing could shape our professional image and reputation, both as a businesses and individually, the investment of time and effort is a ‘gimme’ rather than a chore. Each of the Content Marketing Workshops will run from 8.30am – 1.30pm and include breakfast, as well as covering topics such as how to implement an effective content marketing strategy; how Google works; changing consumer behaviour; how content marketing impacts the traditional sales process; how to implement and execute content marketing, and how to generate ideas.